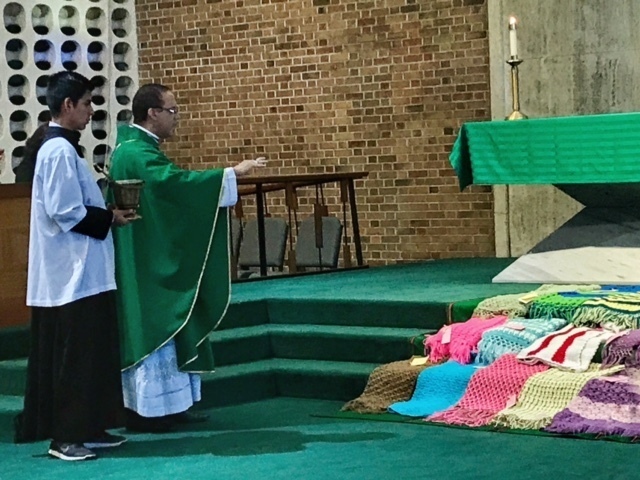 The St. Aloysius Prayer Shawl Ministry serves the parish and neighborhoods by knitting/crocheting shawls for those who may need comfort and prayer. These handmade shawls are a way of showing people they are not alone, but embraced by our community and God&apos;s love. The group typically meets every Wednesday from 10am to noon in Room 209 in the Thiele Center. The group is led by Carmen Mendez, Gloria Roman and Petrina Patti. Check the parish calendar for updates to the schedule.